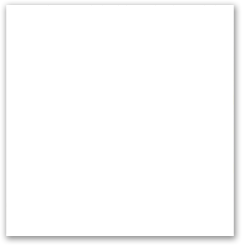 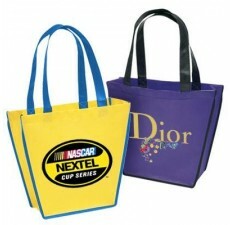 Looking for an Eco-friendly way to promote your business? 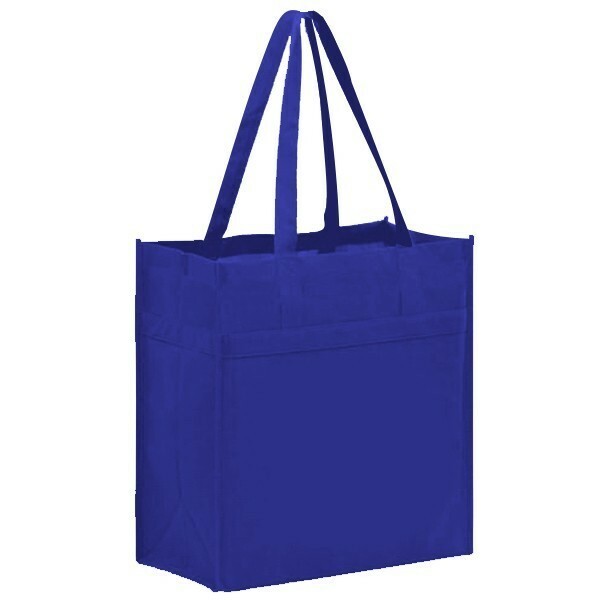 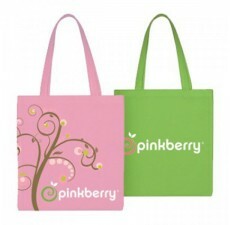 Our Non-Woven Reusable Promo Totes are perfect to promote your business or cause. 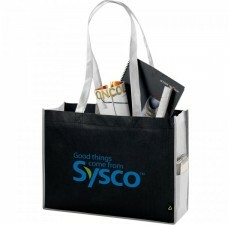 These reusable small grocery bags pack a powerful punch at marketing events like conventions, trade-shows and display your logo in a stylish and functional way. 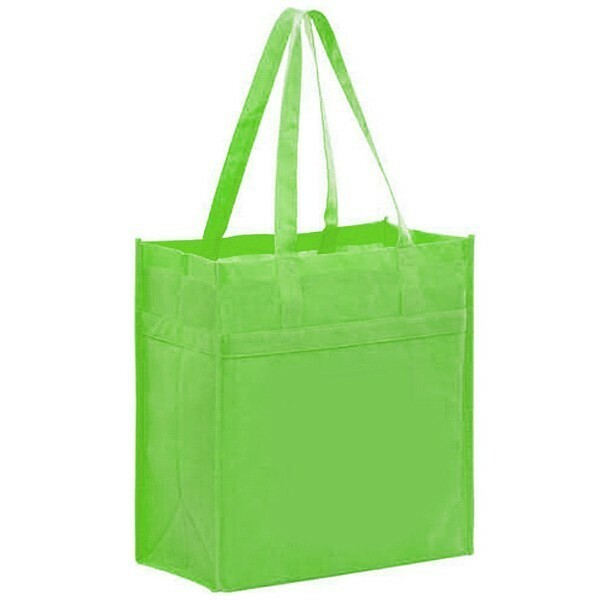 These bags are strong, lightweight and environmentally friendly. 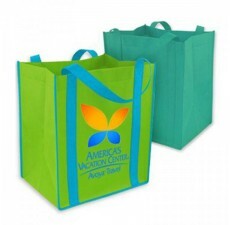 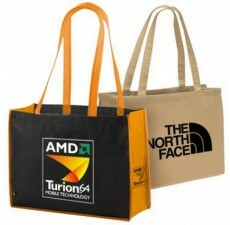 Our non-woven Eco-friendly bags offer many benefits for your business. 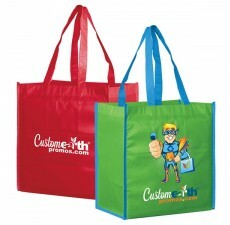 They meet your promotional needs, strengthen customer relationships, and keep your marketing costs low. Made from high quality non-woven polypropylene with dual reinforced handles stitched down the front and back, these reusable and 100% recyclable bags are spacious enough and can easily carry a lot of your things. 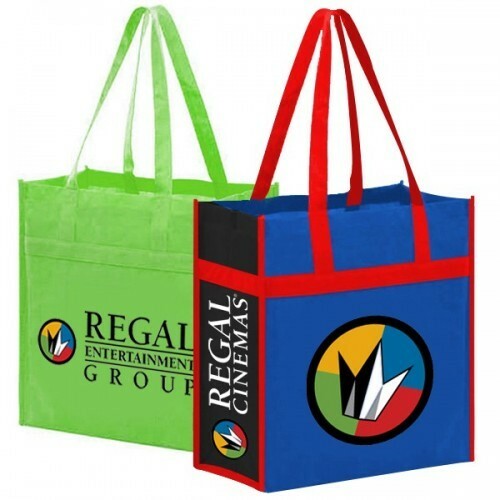 Choose from one of over 30 stock ink colors or create your very own shade for a small fee – either way your next order of custom reusable bags is guaranteed to be a success. So, promote your business with these “green” non-woven reusable bags and save Mother Earth!